Introducing the Lite-On Virtual Power on Call (VPOC™) solution. 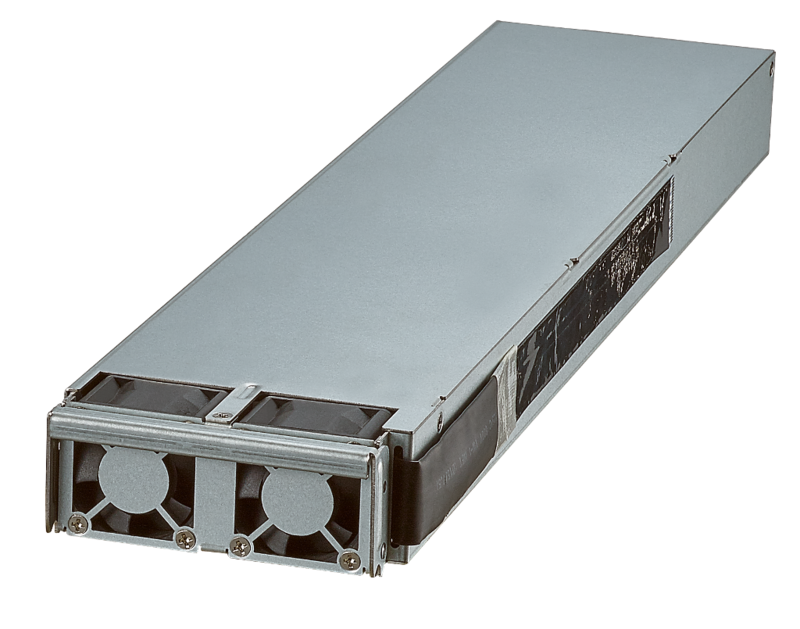 VPOC™ is an innovative, high-density power system that uses a fraction of the space and cooling resources of conventional Uninterruptible Power Systems. 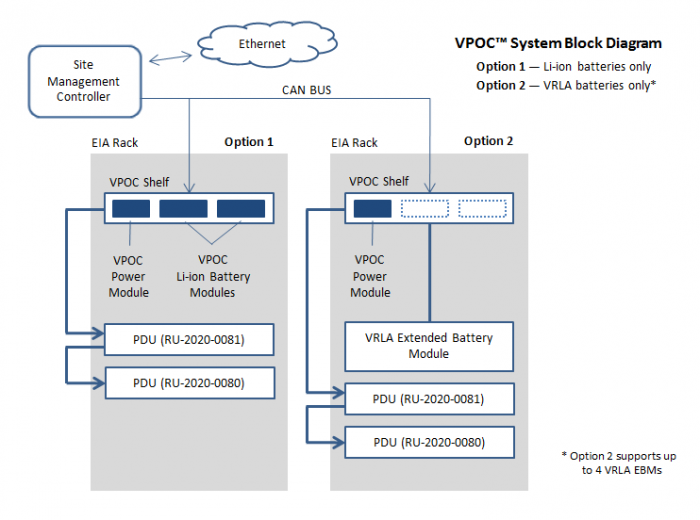 In fact, the VPOC™ system eliminates the need for a costly UPS in your power system. The VPOC™ system consists of a 1U VPOC™ Shelf that fits into a standard 19-inch rack. The shelf contains three slots: one for the VPOC™ Power Module and up to two for swappable VPOC™ Li-Ion Battery Units. The VPOC™ system output is distributed to the system by the VPOC™ Power Distribution Unit (PDU). Optionally, this system offers a flexible, alternative configuration using VRLA batteries with an Extended Battery Module. The front panel of the VPOC™ shelf displays important system performance and diagnostic information. Experience how Virtual Power on Call (VPOC™) can protect your critical infrastructure equipment and save money and valuable rack space. "VPOC™ is an innovative, high-density power system that uses a fraction of the space and cooling resources of conventional Uninterruptible Power Systems." 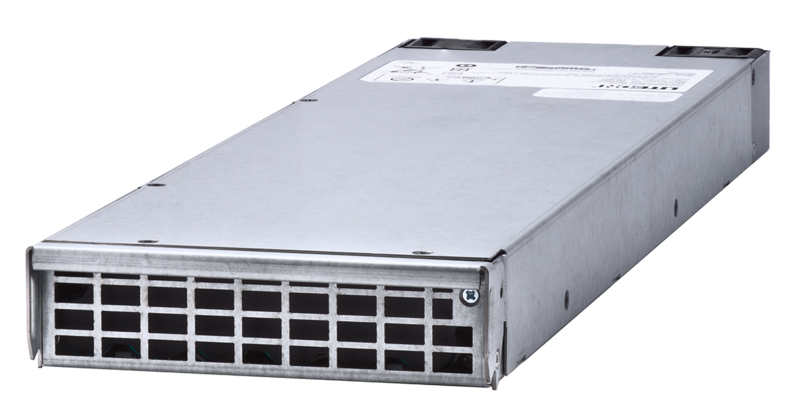 The VPOC™ Power Module ushers in a new era of high-efficiency and high-density power management. The Power Module provides an AC output during normal utility operation, but then intelligently switches to DC Battery operation when the AC can no longer support the load. This innovative approach takes advantage of the capability of downstream power equipment to work with either AC or DC input voltage. Using the inherent capability of your existing equipment, you will experience a significant improvement in size, efficiency, and total cost of ownership. 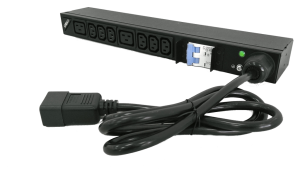 The VPOC™ PDU is designed to manage AC and DC power.